Bedfordshire Golf Club Defibrillator - Could You Find It and Could You Use It? We would like all Members to know that the Club has a Defibrillator - in the General Manager's Office (to the left as you enter). 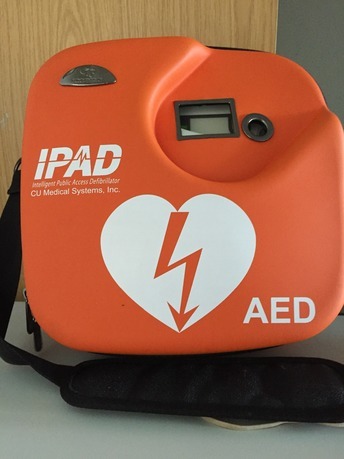 A defibrillator is used to provide an electric shock to the heart to return it to a normal rhythm - THIS COULD SAVE A LIFE. Any member of staff can provide access to this equipment in an emergency. You don’t need training to use it as instructions are on the box, but also when you ring 999, they will stay on the line to give instructions on usage if you are unsure. Bedfordshire Golf Club is registered as having a defibrillator, so anyone driving by who needs access to one may be directed here by emergency services if we are the closest location to someone in need. The purpose of this notice is to make members aware we have a Defibullator and if you ever call 999 from the golf club, that you are aware one is located here. For more information, please call Lynne in the office on 01234 822555 ext 2.